The official twitter account for Respawn has been answering tons of fan questions this weekend. Community Manager Abbie Heppe has been busy with all the alpha related things, and she answered/provided new details on Titanfall. There are 3 titan classes total. There are more pilot and weapon classes than in the alpha, more shown soon. Respawn has their own twist on the leveling up stuff. Respawn is willing to hear eSports feedback after launch. Titans don’t have any melee weapons. You can hack AIs in the game; the AI will then be on your side and attack enemies. You cannot customize the looks of your Pilots; only the loadouts. 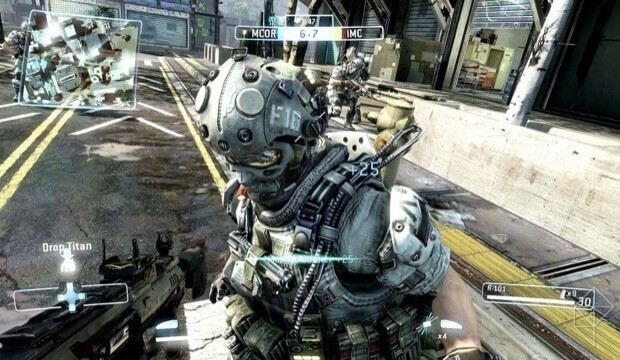 Titanfall is right on schedule for the March release date; no delays expected. Players in the alpha can never show or talk about what the played – even after the game’s launch. Respawn has plans to support the game after launch; no news if DLC will happen. Each side will have it’s own color theme. AI are not equivalent to human players; they don’t have same abilities. They haven’t shown all the weapons yet; more to be shown. Stats from the alpha will not transfer to the game launch. Everyone starts at the same level. More video footage is on it way. More details on the PC and X360 versions are still to come.